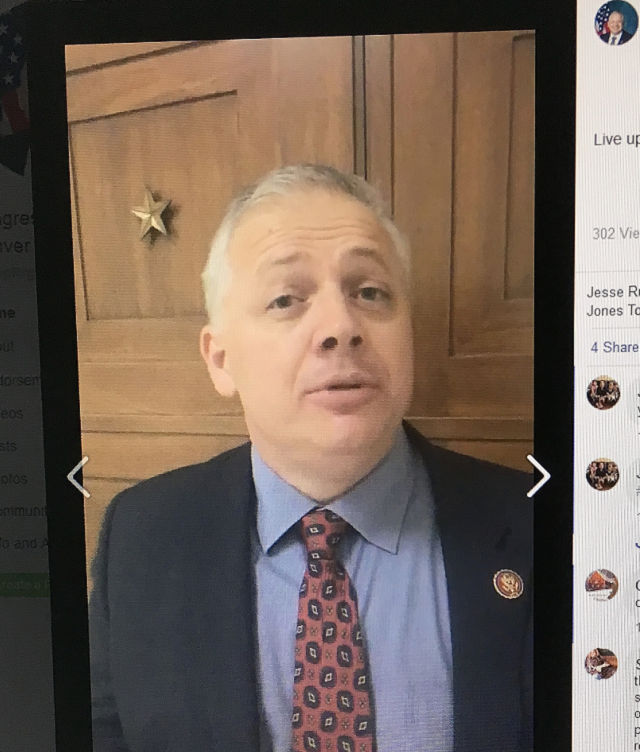 Fifth District Republican Freshman Congressman Denver Riggleman has made his first floor speech, introduced four bills and launched a live Facebook chat session to keep his constituents informed. Congressman Riggleman is keeping a date with his Facebook audience to reach his people. It’s a big job. The 5th extends from the North Carolina line to Northern Virginia suburbs, and politically from Red to Blue. And he wants to talk about his bills to address money laundering and criminal financing of drugs and terrorism. Riggleman has been assigned the House Financial Services Committee. And he says he will keep his Facebook appointments, even if it means chatting in the halls.